Just spotted this one. They've done a similar one in the past and I guess it was successful enough to make another. And this is one of the special edition calendars for the 50th. Amazon have it for £13.75, but I think you can get it cheaper elsewhere if you dig. 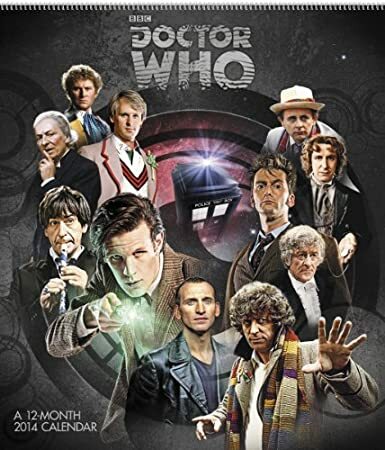 And this is the official 50th anniversary calendar from the BBC. I'm tempted to go for one of the multi Doctor ones this year - feels weird having Matt for a whole year after he's regenerated.